High quality standards in research and development, production and storage necessitate a continuous monitoring system that delivers measured data reliably. The adaptive RMS Rotronic Monitoring System is the perfect solution for a wide range of applications. Our products including software are FDA-compliant, developed according to GAMP5 guidelines and are validatable. 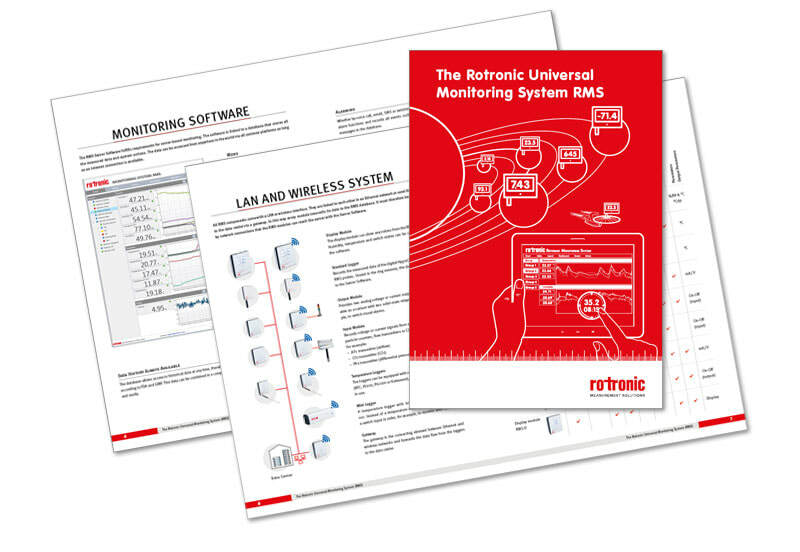 RMS The One Stop Solution - The Rotronic manufactures a full range of individual components and software for the monitoring system. We also offer professional advice, installation, commissioning and maintenance for the installed RMS.